Most of us don’t rely on Morse code to communicate with one another. There was a time that sending and receiving messages in Morse code was more popular. Thanks to TeleTweet, you can transport yourself back to that time. 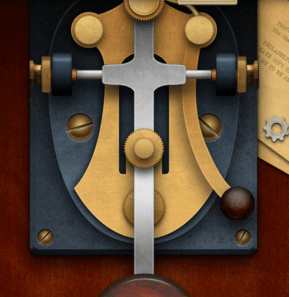 It is a fun little app that converts incoming tweets to Morse code. For outgoing tweets, you can simply tap your message in code and this application will translate your tweets. TeleTweet could teach you a thing or two about Morse code. It also lets you tweet with one finger and keep your messages brief. It works in any language. It has a pretty attractive interface which helps. This is probably not going to replace your favorite Twitter client. But being able to send and receive tweets in Morse code format is neat. 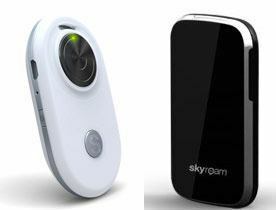 Speaking of neat things, Gmate is an exciting accessory by Skyroam that adds dual SIM capability to your iPhone. It can also turn your iPod Touch into an iPhone. It is a tiny device in which users can insert their GSM SIM card to add voice calls, SMS and Internet access to iOS and Android devices over Bluetooth. With Gmate, you will be able to use local SIM cards with your phone more conveniently. Have an iPad? Use this to connect to the Internet where WiFi access is not available. Gmate has a lot of potential. It costs only $99 which is not too bad. The device is listed as being Out of Stock on Skyroam at the time of this writing though.